"There is no beauty in the finest cloth if it makes hunger and unhappiness"
The Global Sustainable Fashion Week was launched in 2016 by Dr. Gabriella Mányi Walek, President of the National Fashion League Hungary Association. Although a relatively young event, in its four years of existence, it manages to bring together designers, innovators, entrepreneurs, key thinkers and other talents from the world of sustainable fashion to work towards a more sustainable, ethical and transparent fashion industry and planet. The event took place in Budapest and the key theme this year was the notion of sustainability in fashion across borders and through creative and innovative design, and the impacts of fast fashion and excessive consumerism on the environment. “The path ahead of us is very long because it entails a change of mentality in the market, industry and at the level of the average buyer. However, it is very important because the clothing industry has a huge impact on the environment. We don’t realize that wearing a shirt or a suit is an act of responsible consumption as much as buying a car,” said Dr. Gian Luca Borghese, director of the Italian Cultural Center, where the opening ceremony was being held, in its opening speech . It is important to glean lessons from all around the world in an age of increased globalization and inter-connectedness to learn from the practices and traditions of other cultures, thus paving the way towards a more sustainable world – in fashion and beyond. “If we look around the world, we will see that countries like Spain are really making great progress in sustainable fashion. Latin America, the region in focus at this year’s GSFW, has so many talented designers and artisan groups. Although many of them could not attend in person, they have sent us their beautiful artwork. 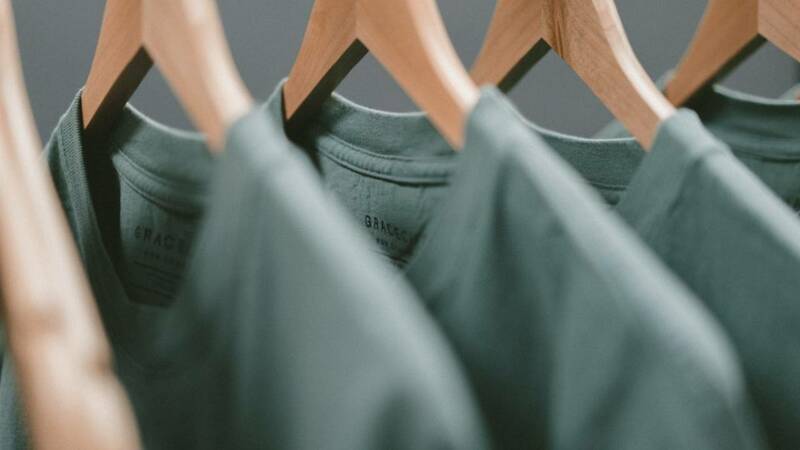 In Hungary too we have seen a positive trend among young people, who are beginning to prefer to buy eco-conscious clothing and Hungarian designers are also trying to find new methods to make their production more and more sustainable. All this is possible thanks to cultural exchanges that are happening in today’s world,” Dr. Mányi Walek explained. This year, Sass Brown was made honorary President of GSFW. Sass Brown established herself as a designer, selling in the UK and across Canada. As an academic, her area of research is in community outreach and ethical design practices in fashion businesses. She has published papers and spoken around the world on the topic of sustainable design, worked and volunteered in women’s cooperatives in Latin America and taught workshops to manufacturers and fashion enterprises in Peru. In her opening speech, she stressed the importance of looking at cutting edge designs from all over the world and highlighting designers that are challenging the out of date, unsustainable fashion industry. “The theme of the conference is traditions and cross-border international cooperation, which are particularly important in our day and age. We must find them new markets, especially with so many traditions being on the brink of disappearing. They should be valued on par with European craft skills. It would be sad to see these traditions relegated to museums and books as opposed to being a living tradition. We are living in a time where we need to speak up and stand up for our values and what we buy is a part of doing this. Transparency in our industry is vital towards making change happen. It’s so easy to forget how important and huge the fashion apparel industry is and how big an opportunity we have to effect radical change to how we do business and how we consume,“ Sass Brown highlighted. “We want to make sustainable fashion the norm and not just a fleeting trend for brands to exploit for profit. For this, we need a radical transparency because consumers increasingly want to know what’s behind each label and that is the power of story telling. As we enter the fourth era of industrialization, brands and designers must incorporate digitalization into their strategies." Charlotta Brynger, CEO of CueMe, spoke of the concept of cultural intelligence for a sustainable future not just in the world of fashion but across all industries: “We are fighting for a better future for us and the coming generations. Culture is the system of interactions that are constantly going on and it is a lot about perspective. Cultural intelligence asks us how we relate to the people around us and how we can better understand them, read them, put ourselves in their shoes. Cultural intelligence is all about drive, knowledge and adaptability – all things that lead to a better cooperation. So, when talking of a more conscious approach towards producing and consuming fashion, it is important to apply these principals of cultural intelligence”. While looking to the future and talented innovators with bright new ideas, we must remember the lessons imparted to us by revolutionaries from the past. This was the key message from Benjamin Itter, co-founder and managing director at Berlin-based Lebenskleidung. There is a need for a revolution in the way we think about the production of clothing and looking back at the life of Mahatma Gandhi could be a key to achieving this. “Gandhi once said that ‘there is no beauty in the finest cloth if it makes hunger and unhappiness’. Essentially, he was the first revolutionary figure in the world, who made clothing and the production of a particular piece of cloth political. He worried about the ethical question of how things were produced more than where they were produced. In a way, today’s ethical fashion is the 'grandchild' of Gandhi and we need his level of integrity to avoid causing irreversible damage to the earth’s natural resources and vulnerable communities around the world. Fast fashion in its current form ignores the needs of those producing clothes and, to quote Gandhi again, ‘you must be the change you wish to see in the world’,” Benjamin explained. Day one of GSFW 2019 wrapped up with an eco-fashion show that displayed some of today’s most interesting designers and brands from around the world. The show was kicked off by an exciting display of Mayu (Hungary-India) and Cocoon by Georg Andreas Surh (Germany), which drew inspiration from the vibrant colors of India, and Wolfish leather - a by-product of the fish processing. Nevice (Germany) wowed the audience with the new Purple Rain collection that drew the nature of the designer's native Tanzania, with its semi-arid lands and warmth of the Indian Ocean. The designer’s motto is fair fashion that serves society at large and the predominance of purple and green symbolizes devotion and peace, and life, nature and harmony respectively. Barcelona’s Sylvia Calvo presented the “BCN I Love You” collection, an ode to the Catalan capital with its rich culture and the breeze of the Mediterranean Sea. Sylvia believes in taking fashion from waste to value and making circular fashion go hand in hand with elegance, style and quality. Spain’s MSMAD Collective Fashion Show showcased several designers in one vibrant display of different lifestyles and fashion trends with a common theme of love for the sea. Tere Gutiérrez de la Concha, Mattos, Cucubox, Soesto, Upcyclick and Abissi all had something interesting to show. Dr. Jocelyn H-C Chen of Taiwan is dedicated to embracing sustainable design practices to express and re-shape the definition of contemporary fashion and with her new collection Stitched in Time, she showed her interpretation of the 12 calendar months both in Eastern and Western terms. Other designers included Hungary’s Rózsa Megla Navona and Italy’s Plus Que Ma Vie and Luisa Spagnoli. Next to these accomplished international designers, a range of young and emerging designers also exhibited their eco-designs from Hungary and abroad: Matilda Janosi from Transylvania, now based in London (Tildart), Melinda Viola (winner of the Slovakian Junior Expo) and Borbála Csiszár also from Transylvania.